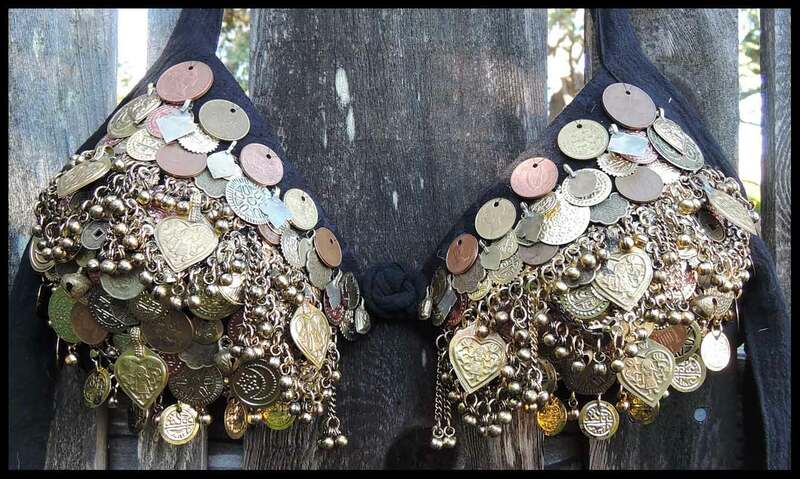 A Jewel of a Bra designed around Heart-shaped Afghani ornaments with a raised relief of the Goddess and the Tree of life, plus my favorite Goddess turned Saints medallions. click here for close-up. 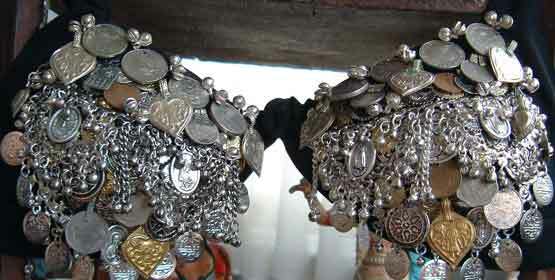 Finished with a dense covering of exotic foreign, Kuchi, and antique coins. 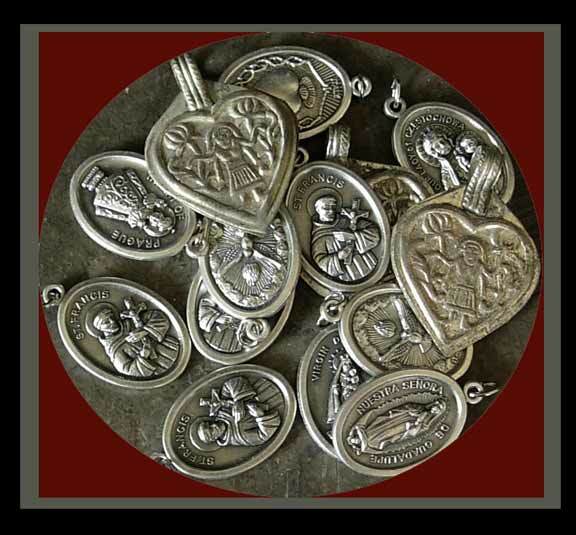 I have been searching and hoarding these small treasures for many, many years, collecting from New Jersey junk men, Jewelry makers, Afghani traders, Antique coin deals,and Indian importers. Shown here with a Kuchi Belly Dangle, and a Pewter Bells Belt, worn as a belly drape. 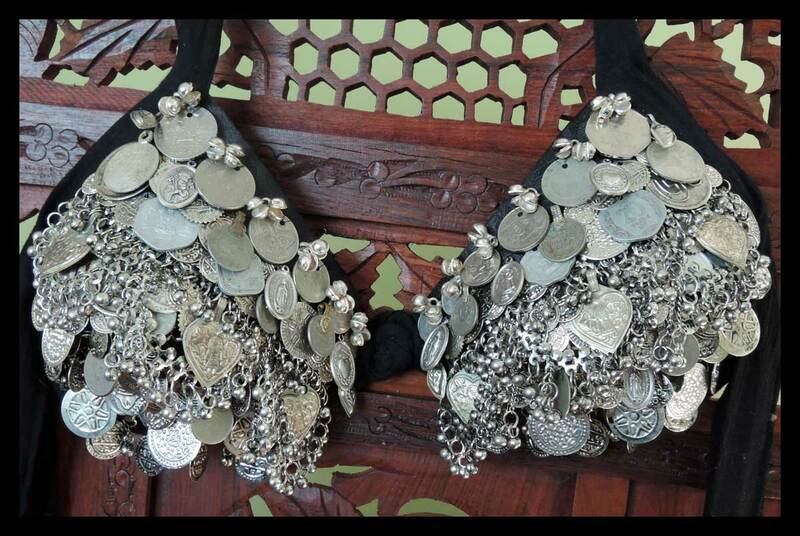 My coin bras are carefully designed and joyfully hand crafted after receiving your order. I'm very fast- I love relaxing in the evening with a bra to work on. 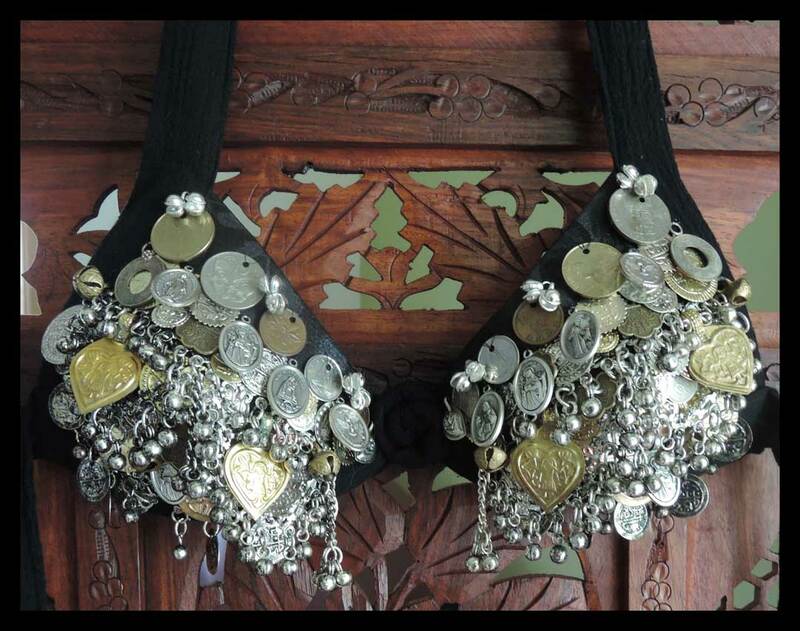 For more coin bra information, including tips on care, sizing, and finishing; go to the Coin Bra information page.